Researchers at BIDMC, Israel, used imaging data to determine the underlying anatomical cause of the negative symptoms of schizophrenia. The negative symptoms of schizophrenia include the inability to feel pleasure, a lack of motivation and difficulty with non-verbal communication. Such symptoms can seriously impact employment prospects, housing, relationships and overall quality of life for patients. Now researchers at Beth Israel Deaconess Medical Center (BIDMC) have used imaging data and applied non-invasive brain stimulation to potentially alleviate the symptoms of this debilitating illness. The chronic and disabling mental illness that is schizophrenia, affects more than three million Americans. Anti-psychotic medication can control schizophrenia’s psychotic symptoms, including the hallucinations and delusions that are well-known hallmarks of the disease. However, there are no effective treatments for the disease’s negative symptoms of schizophrenia. In a first-of-its-kind study, scientists found that these symptoms result from a breakdown in a network between the brain’s prefrontal cortex and the cerebellum. Moreover, the team demonstrated that a novel type of non-invasive brain stimulation restored this crucial network’s function, which in turn improved schizophrenia’s most debilitating and treatment resistant symptoms in patients with the condition. First, Brady and colleagues examined functional magnetic resonance imaging (fMRI) scans of 44 patients with schizophrenia. This essentially revealed that a breakdown in the neural connectivity between the prefrontal cortex and cerebellum was linked to more severe negative symptoms. Whereas, separately, Mark Halko, PhD, assistant professor of neurology at BIDMC’s Berenson-Allen Center for Non-Invasive Brain Stimulation focused on using the technology. The tech was designed to modify brain activity using powerful magnetic fields – to relieve symptoms of anxiety, depression and other mental illnesses. Both researchers then teamed together and analysed the data sets collectively. “When we started looking at our data sets together, we came to the conclusion that if Dr. Brady’s work could identify the networks that are responsible for these symptoms of the illness, then the brain modulation we’ve been doing could change that exact network.” Halko said. To test that idea, the researchers recruited patients diagnosed with schizophrenia, quantified and scored their negative symptom severity and conducted baseline brain imaging. Next, Halko and colleagues administered either active non-invasive brain stimulation or a placebo treatment as a control. 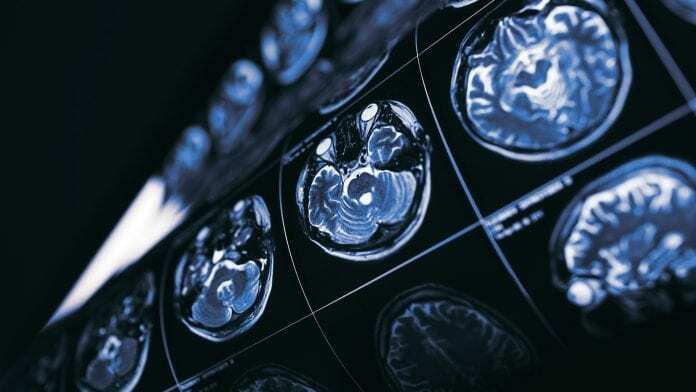 Follow-up brain scans and clinical evaluation revealed that patients with schizophrenia who experience increased connectivity between the brain’s prefrontal cortex and cerebellum after brain stimulation also experienced a reduction in symptom severity. What’s new in insomnia research?